My name is Jonathan Parker…so nice to meet you! If you’re new to my website, my main goal is simple: to clear you of the limiting programs and painful filters imprinted in your subconscious so you can move into the clear light of your soul. You see, I’ve been not only on a spiritual path most of my life, but I’ve found ways to help you that conventional programs are not very effective at doing. And, I’ve been refining these techniques and teaching them for over 40 years. What sets me apart from others is that I’ve developed remarkable psychic and intuitive skills which allow me to go to the core cause of your problems and pull out the discordant energy patterns that aren’t working for you. I’ve also found a way to record many of these techniques so you can use them yourself much the same way I’ve done in my life. My techniques enable you to make shifts in your consciousness so the problem patterns never return, and you automically live a higher life of happiness and fulfillment. This affects your health, relationships, finances, and spirituality. I’ve authored and recorded one of the largest self-development audio libraries in the world which you can listen to at home, your office, or in the car. If you like spiritual books, you’ll love the one I wrote titled The Soul Solution because it is not about funneling information into your head, rather it’s an experiential meditative processes that will absolutely transform you. Earlier in life I obtained university degrees in Education, Chemistry, Theology, Counseling Psychology, and Human Behavior & Development. Over the past 40+ years I’ve reached hundreds of thousands of people much like you, and I sold over 10 million audio programs in more than 75 countries. 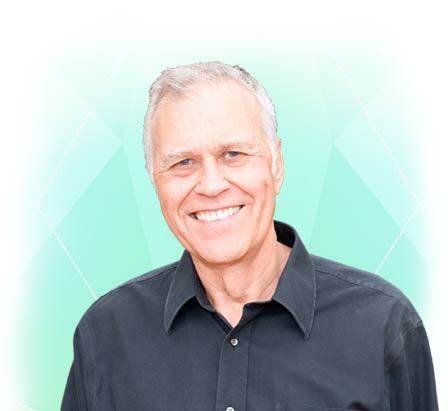 I am so thrilled to share my insights and experiences with you and have distilled what I have found into many audio courses and programs which are available to you today. A number of years ago I produced several outstanding TV programs “Mind Power,” “Self Empowerment” and “Winning at Weight Loss” which reached the homes of millions. You can view clips from the videos on the free video page. Besides appearing on TV, I’ve also been on dozens of radio shows. You can listen to some of his radio interviews at this link. My programs have been used by many companies, clinics, schools, universities, prisons, and health professionals. Olympic athletes, doctors, judges, and the clergy of many denominations and faiths have also used my programs. You can follow my frequent posts on Facebook by clicking on this link and then clicking on “Like.” You will then receive his posts on your Facebook page. Its natural to look outside of ourselves for answers, because that is where they seem to be, and for thousands of years that’s exactly what people have been doing…seeking, but rarely finding. Your mastery of life begins the moment you break through your prison of self-created limitations and enter the inner worlds where creation begins. Tapping the power to solve the puzzles of life was a secret of the masters carefully guarded in ancient mystery schools. Now with new audio technologies what once took a lifetime to master is within much-easier reach in a small fraction of the time. The programs on this site contain the best of the self-help audio technologies available and they begin working immediately. They make the process incredibly enjoyable and that’s why people love them. Discover the ease of your personal growth for yourself by simply sitting back and listening to these programs; their truths will resonate in your heart and you’ll find their power is truly amazing. Join me on an unforgettable journey of self-discovery and of attaining personal mastery. For more information please write or email us at our contact page.